Should towing courses be compulsory for caravanners? There’s definitely a knack to towing a caravan; you need patience, control and excellent road awareness (amongst many other attributes!). One thing you don’t need though, is to have completed a towing course before getting behind the wheel of a tow car. Unless you passed your test after 1997 that is. Currently, caravanners who passed their test before 1997, (those who tend to me more experienced) aren’t required to sit a towing course in addition to a standard driving test. They can choose to arrange towing sessions with an instructor independently, but a course is not made compulsory by the DVLA. Post 97 drivers, however, are obliged to take a towing test if their tow combination (car & trailer/caravan) weighs over 3.5 metric tonne (3,500 kg). 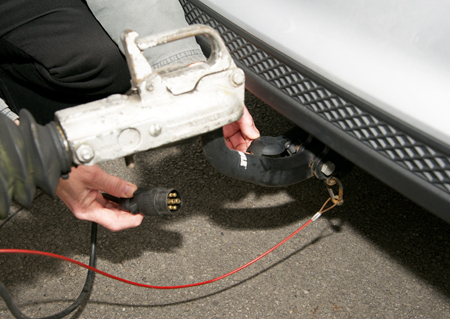 Check out our beginners guide to towing for further details. We want to get your thought on this – do you think all new caravanners should be made to pass a towing course before they hit the road? Perhaps you think even the most experienced caravanner would benefit from a refresher course? Vote now using the options below and remember to share your view in full in the comment box below. We’ll announce the results and publish some of our favourite comments next months. I think Lucie is right to suggest this topic might cause some ‘debate’! It is though an important issue. I respect the obvious experience Barry R seems to have but feel that I have to disagree with him on his point about a “ten minute talk” being enough. I’m also an experienced biker and drive an ambulance transport as a volunteer. I passed my driving test before 1997 I’ve only been a caravanner for 4yrs but have already towed to Italy twice. France is a regular trip for us and we’ve also been visiting UK sites, Wales, the Midlands, the South coast etc. I didn’t have training to tow but wish I had. No problems so far but why leave things to chance? The experience of towing in ‘controlled’ conditions has got to be a benefit to all road users so I don’t agree that training is a ‘cash cow’ for the DSA. People drive cars but a ten minute ‘chat’ doesn’t mean they can safely drive an articulated lorry does it! Proper training is an asset to young and old, experienced and novice and road safety improves. Some say cost is a limiting factor so why not offer training as a ‘bolt on’ cost option when dealers sell a caravan? Maybe insurers can offer a ‘cash back’ scheme with insurance renewals? (No I’ve not thought that one through yet but it sounds good to me) There are NO perfect drivers as I’m sure Barry knows, there are however complacent drivers so to them I would just point out that it’s called an ‘accident’ because it wasn’t planned. Thanks so much for sharing your thoughts Jason. The bolt on training option sounds like a fantastic idea! That’s ok Lucie and thanks for a great site. (I found it recently) It’s informative and well laid out, the info I’m getting from contributors (and yourselves) is very helpful. RE: the ‘bolt on’ option, the industry needs to apply some ‘joined up’ thinking, manufacturers, dealers, finance companies, insurers AND training companies can all play a role. Post 1997 drivers have to have training anyway but even pre 1997 drivers change their caravans, new ones could have the training costs written into the price, as part of a finance deal or as an extra, like buying a motormover. Used caravans could have the option of training as an ‘extra’, in a package like buying an awning. Training isn’t widely advertised, especially in dealerships. I do agree with the comment about lorry drivers (a little bit anyway), the worst thing is when they pull out to overtake a slower lorry at the start of a hill and slow things down for the next five miles, cars towing caravans have to also slow down (can’t use fast lane of motorway) and then it’s a struggle to get back up to speed! Not sure about the 4×4 comment (yes I drive one). I got mine as a Sterling Amber is a reasonably heavy van but I made more speed errors towing a lighter Sterling Europa with an S type jag. (turbo diesel model) Fast driving (not rushed) is not a problem itself (ask any F1 driver) and most newer caravans now have better weight distribution (loading is as important as towing) in addition to brakes, suspension and anti ‘snaking’ devices. Once again the ‘key’ ingredient is training, we sometimes fail to use it in everyday driving but in an emergency it can help us react correctly to a given situation. Thanks again for the site and some of the great advice from your contributors. After putting three girls through driving tests and footing some of the massive costs of doing that. I am convinced this will be turned into yet another example of Rip off Britain. The cost will be exorbitant. the finger-wagers and hand-wringers will have an emotional field day. Last year there were below 2000 deaths on Britain’s roads. The lowest anywhere (by population) Just to give comparisons there were over 6000 suicides. So Bad towing is NOT a problem. Insurance companies don’t insist and if it was a problem then they would insist. I give a vehement NO! There is no need to make it compulsory. If you can drive a car, then, with some research, you can tow a caravan. No one wants to have an accident and there should be some well written advice and not the usual over the top nonsense. How may of us check our tyres daily for instance! Further to my earlier post, I would just like to make it clear that I fully endorse the towing courses conducted by both major Caravan and Camping Clubs and without doubt benefits would result. I am not aware of the costs but if you can afford it go for it. Regarding reversing etc., moving on site a caravan mover is the answer and will do much less damage to the grass than using the car, All caravan Handbooks instruct the owner on loading and should be common sense, Lastly, a large percentage of HGV drivers show no consideration to caravanners and certainly I do not think any amount of training would slow down the 4 x 4 trailer/ caravan towers and lane discipline has already been covered in the driving test. Hi Barry, thank you for sharing your view. Whilst we understand that this issue might cause some debate, we feel it’s important to get people talking about topics that matter most to caravanners. The results will be revealed next month so we should have a better idea of the general consensus. Even though we all feel Capable of Towing and are as Good if not Better than the Rest, we Could ALL do with a Refresher now and again I Know that Most of all I got my Licence in 1964 and a Follow up Escape and Evasion Course. I Still need to do Better as I Can Honestly Say I have Come Close on Occasions, Not the Ultimate as Yet Touch Wood. I agree that towing courses should be compulsory, however I feel that the cost of any course should NOT be overexhorbitant. peaking for myself I am retired and would love to be able to go on one of these courses especially to learn about reversing my tourer. I am not a miser by any means but like MOST people my wife and I need to watch our outgoings. Why are we just discussing caravans. How many times have drivers been passed on the motorway by vehicles towing trailers (especially 4×4’s), going way over the speed limit and quite often in the outside lane. Its no just about the caravanners, anyone who wants to tow a trailer no matter if it just to go to the local tip should pass a towing test before they are allowed to hitch up a trailer. Its about the legislative aspects as well as how to tow. Sadly trailer users don’t seem to understand things like the 3rd lane rule, speed limits or even the use of correct lighting and number plates. 62% of voters currently in favour of compulsory towing tests for new caravanners or refresher towing training for existing caravanners. Just 17% believe passing your driving test is enough? Thanks for everyone’s comments so far. Why should it be ok to put oneself and others at risk by travelling on the public highway in a vehicle for which you have had no training? We do not allow even a motorbike without a CBT ( the name says it all ” compulsory basic training”). Forget the idea of having the “right” to tow and get testing in place. May I also throw a spanner in the works and suggest periodic detests for us all… I am a Gold member of RoSPA and have to take a test every 3 years. I do not find this to be a problem, rather, it is a chance to ensure standards are maintained. Have pride in your drive and think safety…. Surely this is the way to go? All drivers should be required to undertake a towing test. Us older folk already having the right to tow and should be required to at least take a refresher course. Even after over 25 years towing I did a Caravan Club towing course and subsequently the IAM Towing Test and learned some useful tips along the way. I see too many mismatched and badly loaded caravans. We need to educate the towing public about loading and the 85% rule to eliminate the incidents that occur on our roads. There are a lot of people who simply ignore the rules and regulations of the highway code, I know of one lad ,in his early twenty’s tows a big twin axle with a showgun,I know for a fact he does not have the appropriate driving licence.And an old guy on our site last year who decided to leave both mirrors on his car after he had pitched his caravan, he was about to go into town and I advised him to remove them and he told me that he always leaves them on.The next day he told me he wished he had listened to me as he was pulled over and he got 3. Points on his licence AND a fine.It pays to obey the rules of the road. As to the argument to weather you should take a test, I feel you should be given a choice when you are at the learning stage. Whitfield – good suggestion to give learner drivers the option to take the B & E test when taking their driving test. That said 17 years may not have the foresight to know if they will take up caravanning in the future. The problem is there is no law to stop anyone buying the ‘wrong’ caravan for their car, loading it incorrectly, overloading it, attaching it to the car and then probably with no mirror (to save money) setting off down the motorway at 60 mph. They are then a potential hazard to all the other road users. From my experience all caravanners regardless of their experience, benefit from a course on packing, handling and maneuvering. Even articulated lorry drivers have commented on Caravan Club courses and the way they give confidence, skills and understanding. It’s your life, you only get one. Agree a bit of training on how to load makes sense too. We ran a blog post about how to correctly load a caravan a few years back. I feel a towing test definitely puts potential caravanners off. If I hadn’t already had a genuine love for and experienced many happy caravan holidays as a child, without a doubt I wouldn’t have even contemplated buying a caravan if I knew a compulsory test had to be taken. A test is more of a burden to a already expensive but enjoyable hobby. I passed my B & E last year at 29 after my car/outfit was 30kg over the 3500kg limit. This was the first time I’d towed but I myself felt more than confident in my driving abilities to safely take out my beloved “new” to me caravan out and more importantly keep my family safe in the process. Simon It’s a good point – there’s no proof that a driver who passed their test in 1996 would be better at towing than a driver who passed driving their test in 1997. Seems crazy really that a few months apart one driver has to spend time and money in getting their B&E categories. Personally I think a towing course should be compulsory. I am fortunate enough to have a C + E (artic) licence and a caravanner. Some of the reversing, manoeuvring and General driving abilities of some caravanners I think leave a lot to desired. 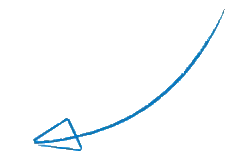 A compulsory driving course would generally improve driving standards, thus increasing safety to ourselves and other road users. If you are not confident to tow I think most people would be put off buying a caravan. My husband would not tow so I do it. I am quite happy to do so whereas he is horrified at the idea of doing so. I think an age related test may be a good idea as young or the very old can be quite dangerous and I think Craig is correct when he says some people would not acknowledge they needed help what ever their age. We’ve been towing for nearly 30 years. For the first 28 years I left it all to hubby, imagining it was scary/difficult/stressful (as he said it was!). Two years ago I suggested I have a go myself, security in case he was ill, or simply to share the towing on a long journey. He towed the van to a lay-by on our local by-pass. I got in, viewed the situation, adjusted mirrors, my seat and steering wheel angle, and slowly moved off when there was NOTHING in sight. I made it to the next layby with relief. He towed it round the roundabout and back to the first layby and I had another go. With more confidence I moved off more quickly, and decided to miss the second layby, go round the roundabout, back up the other side, turned right at the T-junction and back to the layby. About 2 miles. A month later I was happily towing down the M6 and wondering what all the fuss was about. I am, in fact, more relaxed than hubby as I enjoy driving for its own sake and have regularly driven 500 miles in a week and 300 on a single journey. I haven’t yet towed down a country lane or through a busy town, but sure it would be no problem, taken carefully. I haven’t tried reversing either but understand the technique – and wouldn’t do so without someone watching me. So I don’t think a test should be compulsory, but perhaps something like the written drivers test that now applies to new drivers would be useful – if a person got below a certain score then a course might be advised. The written test is a good suggestion – to check new caravanners know the basics before they tow for the first time. newbies should have a compulsory towing course and many oldies would benifit from one too ! 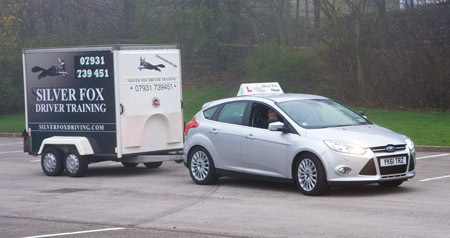 There is no doubt that some drivers are very good on the road and pay attention what they do, but there are a group who think””” they are good drivers and they are the one’s if they take to towing caravans then yes lets get up to date and help these type become more competent drivers. I am an ex HGV/PCV instructor also done the IAM driving test and been a member for over 15 years. So i do see some bad driving when out and about but yes it would be good if you are new to caravan towing then get on a course with one of the caravan clubs. There are very little places that do towing so you can see why driver with little experience bother to do these courses. Good point about the availability of towing courses – they should be much more accessible. I have been towing for thirty years and consider myself to be an excellant tower and comply with the laws of towing. I was taught right from the begining by my farther in law on how to load, nose weight and use of miirors and have kept upto date as the law have changed. Hower last year i still had the miss furtune of my caravan comming of my car while taking it for a service and it ended up in a corn field. I think that all new caravaners should have to take some kind of caravan awareness course so that they no the laws regarding towing as you see many tow vehicles with only one mirror or without any at all or speeding in the outside lane of motorways. It could be done very easily as when you purchase your van you fill out a form which is sent to your police station of choice and you attend the course there before you pick up your van. This would also cover any experienced towers as well if they change thier van. Thanks for your comment Chris. Caravanners using one mirror is quite common. Maybe a test or some compulsory training for all new caravanners to at least cover off the basics would be a wise move. I’m sure it could be done with the least possible expense and inconvenience to the new caravanner. I feel it should NOT be compulsory to take a towing course,some people are experianced or have the ability to tow safely may be through there work etc. however some people would benefit from a course & others no matter how many courses they go on they just don`t have what it takes to be a good driver with or without a trailer or caravan so it should be upto the each individual to decide. It might be difficult for some to acknowledge they need further training. Perhaps making a compulsory test would be a better idea and this would ensure only competent drivers would be allowed to tow? Just putting it out there as a suggestion. The worry would be that it could put off potential caravanners from taking up caravanning.